If you grew up in the 90’s chances are you remember the show “Whose Line is it Anyway?” which featured performers that create scenes, characters and even songs on the spot with various improvisation games. Throughout junior high and high school I was an avid fan of the show, and I found every episode to be hilarious. It was only fitting that once I entered high school the first extracurricular, I joined was the improv club. By my sophomore year, I was president of the club and had increased membership considerably in a short amount of time. We made many of fond memories and shared countless laughs but aside from all of the fun and games; we unintentionally gained valuable communication skills that would eventually serve us well in our future careers. Some of my club members went on to become musical theater actors, salespeople, or business owners. I became a recruiter. You might wonder how in the world making up comedic scenes at the drop of a hat could train someone for a career in recruiting. 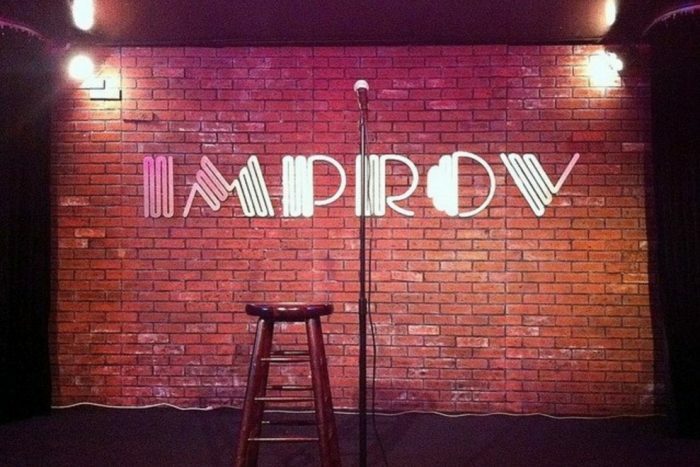 When you boil it down to the basics, improv comedy is about acting and reacting. Just like the performers don’t know what will happen when they get on stage to play a game, a recruiter doesn’t know what will happen when they pick up the phone to call a candidate. When we find that ideal candidate that we want to court for our company, we spend a lot of time ensuring we say the right things and that requires us to be quick-witted and on our feet with an answer for everything. When I was new to improv games, I learned quickly that you must listen carefully to what the other actors are saying to have the most poignant response to provoke laughter from the audience. On the same note, we must actively listen to our candidates to pinpoint their motivations and respond accordingly to draw them in. As recruiters, we strive to ask the best probing questions to get the answers that we want. The most applicable improv game that comes to mind is “questions only.” In this game, two participants must act out a scene only using questions, and when one of them breaks the trend and uses a declarative statement, they are buzzed out and replaced with a new participant. The “winner” of the game is whoever can keep the questions going the longest. After many years of playing this game, it almost worked as a form of cognitive conditioning that allowed me to be thoughtful but still quick with responses. In addition to the communication skills I gained from playing countless improv games over the years, I also credit the responsibilities of running the club to my career path of becoming a recruiter. Many of the same tasks necessary for running a successful and well-attended club were almost identical to those that I do on any given workday. To have a club of any kind in the first place, what do you need? Members! How you get members to join your club? You guessed it; you recruit them. Every year I ran a booth at the student activity expo for each of the clubs just as I would at a career fair today. I would draw students in, give my pitch on the spot and get them to sign up. Once that part was done, I would follow up to ensure their attendance at the meetings the same as we follow up with our candidates to guide them through a full cycle recruiting process. There are many options for recruiters looking to hone their communication skills through improv training. Second City Theater in Chicago, Toronto and Hollywood are famous for their improvisation workshops, but many smaller community theaters offer training as well. If you do not have access to a professional class, consider hosting your own workshop in your office. Choose a few games from the improvisation encyclopedia and work through the scenes with your co-workers. It can take a while to get the hang of improvising, but if you’re already in the recruiting profession, chances are you will catch on quickly.